The spring and summer months are a perfect time for homeowners in the Detroit, MI, area to add new life to their house. An exterior remodeling project can be just the thing to give your home enhanced curb appeal, improved protection against the elements, and a stunning look and feel you can be proud of. 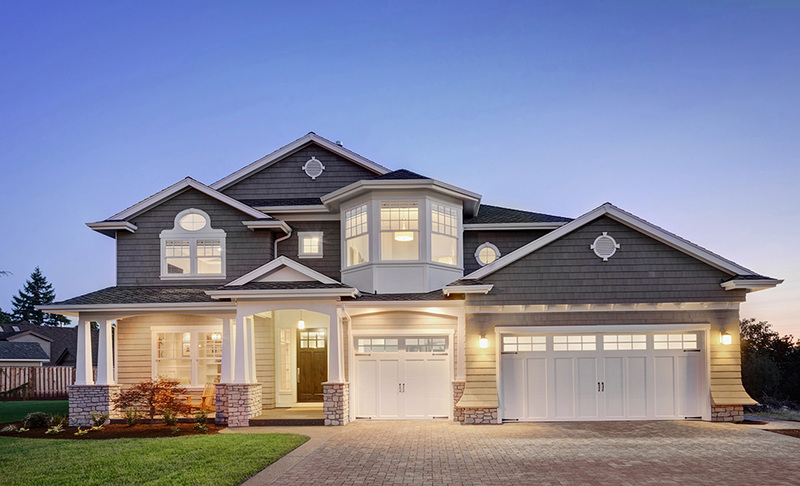 As you plan home exterior upgrades, keep in mind these 5 rules that will make your exterior remodeling project a success—without losing your peace of mind! 1. Don’t Simply Go with the Lowest Bid. It’s important to properly invest in the project you are having performed. So, don’t let cost be the only factor you consider. A low price may signal problems to come—such as a contractor that is hard to reach and doesn’t finish the project, poor building materials that don’t last, improper installations, or a drawn-out job that costs much more than the original estimate. To avoid such situations, research the contractor thoroughly. Get references. Read reviews. Ask neighbors and friends for recommendations. The right materials, a trustworthy contractor, and great service all add up to a successful remodeling project that looks great for years to come. 2. Spell Out Your Budget Ahead of Time. One of the easiest ways to end up overspending and in debt over your home remodeling is to fail to plan a realistic budget. By listing out all the work you want to have done, comparing different building materials, and considering prices, you can get a very good idea of what your project should cost if all goes smoothly. As you contemplate your budget, consider both ways you can save money—such as DIY work that you are well qualified to do—and areas where it’s worth spending more—such as buying high-performance building materials with a stellar warranty. Also consider whether you want to take out a loan to cover the costs or pay with savings. And remember—reputable contractors provide detailed estimates. At John McCarter, we offer a free home improvement quote to equip you with the information you need to make a great decision. 3. Continue to Maintain Your Home During the Remodeling. With a remodeling project, you can expect some areas of your home’s exterior to be a little more cluttered than normal. You may be tempted to back off other maintenance, thinking that you’ll care for the lawn or do other work after the project is over. But resist the temptation! Your home still requires basic maintenance, even if you’re doing major work on its exterior. And the longer you wait to care for it, the more likely you are to have issues arise. Avoid problems and a lot of catch-up maintenance by doing your regular inspections and upkeep during the exterior remodeling. Like any reputable contractor, the professional team at John McCarter will make sure that your work areas are kept organized and safe throughout your remodeling project. But there are steps you can take to ensure everyone’s safety as well. Make sure your family knows which areas of your home are off-limits during the project. Keep an eye on young children so they aren’t tempted to wander into the work area. Don’t allow pets to run loose, where they might get hurt. Keep an eye out for falling objects and other debris. And let us know if you have questions or concerns at any point during the remodeling. 5. Find Alternative Places to Work and Relax. An exterior remodeling project can be noisy and cluttered. Keep this in mind and make plans accordingly. If you normally work from home, you may wish to use a co-working space, coffee shop, or library during your work hours. Schedule trips to the library so your children can do schoolwork in quiet. Take naps as far away from the work area as possible, or plan relaxing breaks like a trip to the movies or a time to chat with friends at your favorite outdoor spot. The best way to get the home exterior results you can be proud of is to plan ahead. And John McCarter is happy to help. Our trusted team of professionals will answer your questions, explain your options, and give you a home exterior remodeling upgrade that looks great and is long-lasting. Contact us anytime at (248) 446-1750 for a free home improvement quote.